LIFE is better in PINK: Mommy Mondays - When All Else Fails, Put it in a SMOOTHIE! 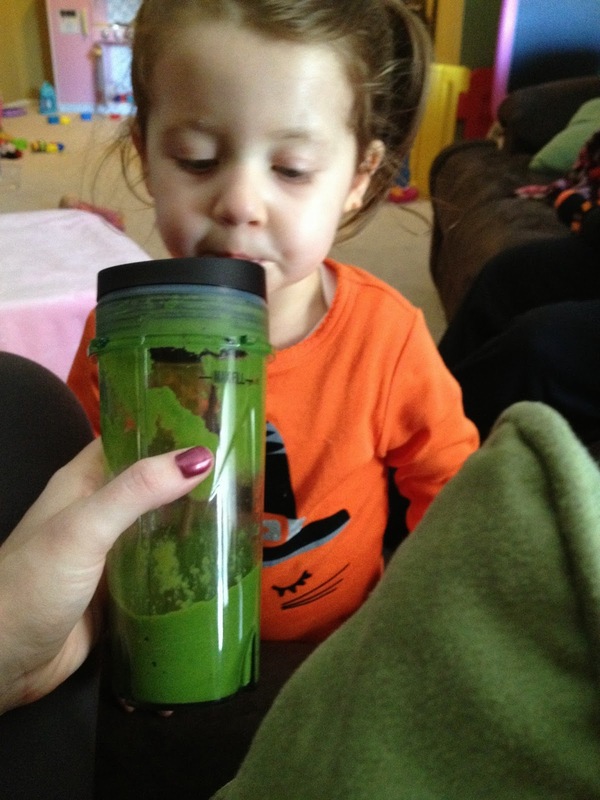 Mommy Mondays - When All Else Fails, Put it in a SMOOTHIE! I don't know why she has an aversion to either food, but my solution is to put these items in a smoothie...and it works like a charm! 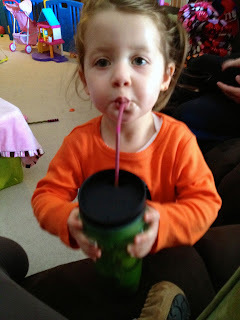 Kids love smoothies because they get to drink through a straw and it is a "big kid" or an adult type of drink! Lacie gets super excited when she hears my blender turn on! Last week's Mommy Mondays post was about creating a healthier snack! Homemade smoothies (without added, refined sugar) are a great way to make snack time easy and healthy! In last week's post, I shared a recipe for Pumpkin Pie Smoothie! It is the go-to smoothie that I make to get a nice full cup of milk into little Lacie. You can find the recipe here, but it is essentially 1 cup milk mixed with 1/2 cup canned pumpkin and 1 teaspoon of pumpkin pie spice! Easy, delicious, and tastes like fall! 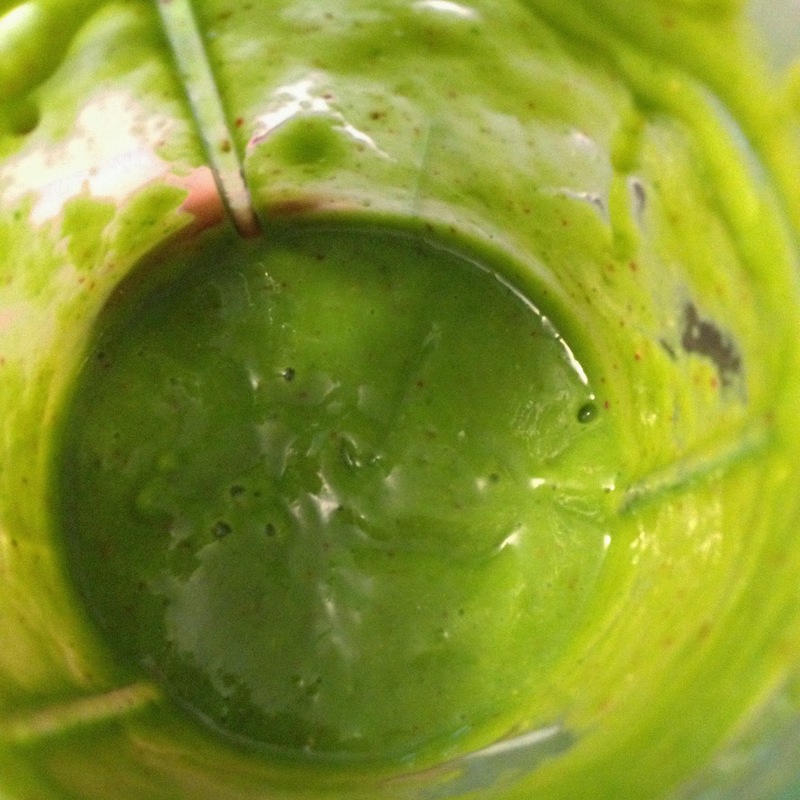 Another great way to get fruits and veggies in is by making a Green Smoothie! I make them a few times a week, and that is how I get Lacie to eat avocado! Place all ingredients in your blender and puree until smooth! It's that easy! She loves drinking out of this "big girl" cup! I have to help her tilt the cup when it gets to the bottom so that she doesn't spill it! Yes, she drank that entire travel cup full of green smoothie! Look at that bright green nutritious color! Me and my sweet girl at Sesame Place over the weekend!